Louis Sylvester is a cool man. He’s an Associate Professor of English at Lewis-Clark State College in Lewiston, Idaho. He earned his PhD from Oklahoma State University. As a professor, many students refer to him as the “fun professor” to work with. He mostly dresses in printed cartoon t-shirts and jeans and there is always laughter in the class, mostly because of how he comments on what he refers to as “the materials” he teaches. 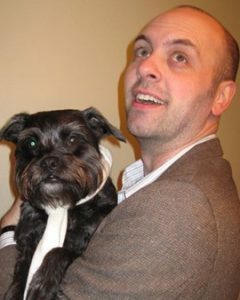 He teaches screenplay, fiction and nonfiction. Besides teaching, Sylvester is an avid board game player. He owns more than one thousand board games and often hosts a weekly board game night on campus playing with his students. His dog’s names are Cake and Muse. 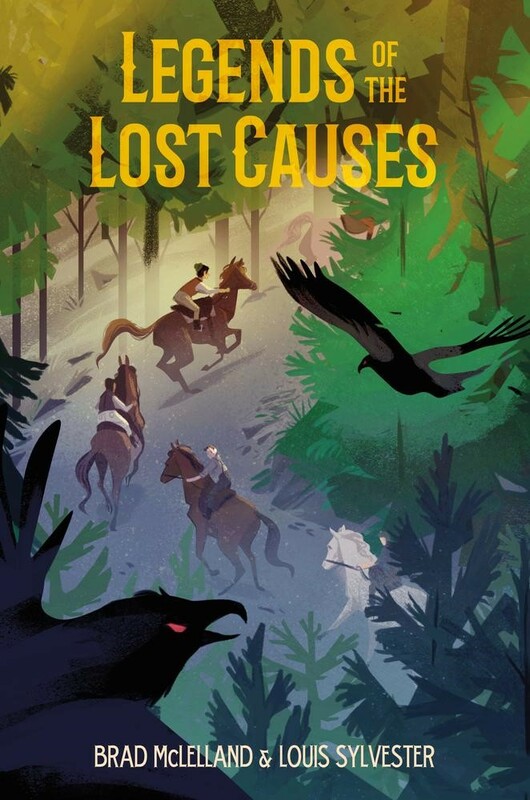 Sylvester recently co-authored Legends of the Lost Causes, an adventure novel for middle-grade, with Brad McLelland. We spoke with Sylvester about his soon-to-be-released novel. I know a little bit about Legends of the Lost Causes with the given synopsis that are out on the internet. It’s for middle-grade, but can you tell me more about the story? And why write it for middle-grade? The story is a rip-roaring fantasy western centered around a group of young teens who must stop a villainous desperado before he uncovered a magical artifact called the Char Stone. Our hero, Keech Blackwood, discovers that his adopted father once ran with some wicked men and they have come back in search of the Char Stone. After Keech’s home is destroyed, he and a few other orphans set out to stop the outlaw before he can wreak further havoc. You mentioned that you co-authored the book with Brad McLelland. Can you tell us about the creative process of writing this book? For example, where did the idea come from, what were the challenges, what was the research process like, and what was it like writing a story with another writer? Brad and I met in grad school in a creative writing program. We were friends, and one day we discussed the kind of writing we wanted to do once we graduated. We met on a number of occasions to create a plot that we thought would be a ton of fun to explore and then I moved to another state. So, we came up with a plan where I would write a chapter, send it to Brad, then he would edit my chapter and write a new chapter, then send the doc back to me. Then I’d edit all the writing, and write a new chapter. We did this for the entire book. We worked off of an outline and we gave ourselves deadlines. The biggest challenge I faced was dealing with edits on a sentence that I held dear. It’s tough to write something and be proud of it, then watch your partner delete it because it doesn’t work for him. BUT we talked about this and realized that the book we wanted had to work for both of us. We found a way to communicate and now I wonder how writers get anything done without a partner. Research was tricky. We set the tale in 1855 and while writing we would suddenly ask, “Hey, did this item even exist in 1855?” It required us to do a lot of online research. After a while, we just bought a bunch of books on the history of the old west. Can you also tell us about the publishing process? For instance, did you get an agent from a publishing company? After we had finished our first draft and polished it to the point that not a single comma was out of place, we took it out in search of an agent. Brad met our agent, Brooks Sherman, at a writer’s conference down in Texas. The two sat and chatted about our book for an hour and Brooks agreed to read it and give us feedback. We got a list of about 1000 things that needs to be addressed. So we spent a couple more years basically rewriting the entire book based on Brooks’ suggestions. He was impressed with our rewrite. Not because the book was now ready, but because we showed him how ready we were to work with an agent. We listened and took his advice seriously. Brooks agreed to represent us at that point. We signed contracts and then he gave us a new list of a 1000 things to address. We wrote for another year, again building a new book. This draft was something Brooks thought he could sell. He shopped it around to his various publishing contacts and within 2 weeks we received a wonderful offer from Henry Holt Co. When you knew that the book was going to be published, did you have any idea of what the book was going to look like? For example, did you know how the cover, the paper, and the design would appear? I had very little idea how the book design would appear. Once we had an editor, we spoke with him about the things we wanted for the book. We said we wanted art that included an evil crow for the cover and we also were hoping for some illustrations inside. Our editing team then went out and found an artist named Alexandria Neonakis. They worked with her and sent us the art that Henry Holt had approved. We loved it. We did ask for a few alterations, which Alex made. What are the messages, if any, that you hope the readers will take away from your writing? I think that our story has a rather strong message regarding using your wits to overcome challenges. There is a lot of action in the story, but violence fails to resolve problems. Our story suggests that cooperation and clever thinking are a better way to achieve your goals. 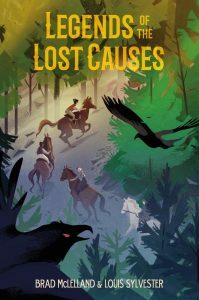 Legends of the Lost Causes will be released in February 2018.